ASHRAE’s First International Conference on Energy and Indoor Environment for Hot Climates saw experts from across the globe converging in Doha to discuss challenges posed by high-ambient conditions. Covering a wide arc, the event was an attempt to look both inward and outward. We bring you the report. 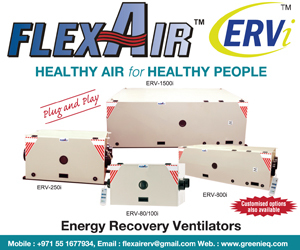 ASHRAE Qatar Oryx Chapter organised a three-day conference with the avowed, if ambitious objective of bringing together GCC-based HVAC manufacturers, industry players, representatives from local research centres, global organisations and the academia. Held from February 24-26 at the SIMSIMA Ballroom, Millennium Hotel, Doha, under the patronage of HE Shaikha Abdullah Al Misnad, the President of Qatar University, the conference was an endeavour to address local issues in a larger global context. Titled “Energy and Indoor Environment for Hot Climates”, it reflected both immediate and long-term concerns affecting built spaces in the region, which have to be kept both comfortable and healthy for occupants during the long and punishing summers. The conference, however, sought to broaden its scope by tapping the wealth of ideas and expertise of participants from across the Middle East and beyond. The statistics offered an interesting glimpse – five keynote addresses, 13 conference paper sessions, with 60 speakers presenting 45 technical papers. Setting the tone of the conference, “Developing economy countries and ASHRAE: A collaborative vision”, a session chaired by Walid Chakroun, PhD, Fellow ASHRAE, Kuwait University, Kuwait, Kuwait, (also conference organiser and member of ASHRAE’s Developing Economies Presidential ad hoc Committee), highlighted ASHRAE’s efforts to meet the needs of developing economy countries in building for the future, with a discussion facilitated by ASHRAE President William Bahnfleth, PhD, PE, Fellow ASHRAE, Pennsylvania State University, University Park, Pennsylvania, and Dr Chakroun. The issues addressed by the five keynote speakers offered an insight into the scope and rigour of the topics discussed. 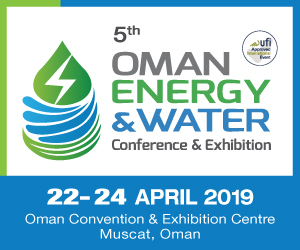 Keynote address 1, “Integrating Indoor Air Quality and energy efficiency in buildings” by Dr Bahnfleth, and chaired by Dr Chakroun, highlighted the oft-repeated view that buildings were one of the largest energy end-use sectors. He, however, warned that the fundamental importance of IEQ should not be lost sight of in the drive to rectify the problem. The presentation addressed: 1) The significance of IAQ in terms of its impact on health and productivity and associated costs; 2) The link between IAQ and building energy demands and efficient technologies for maintaining good IAQ; and 3) The need for an approach to building research, design, and operation that recognises this connection. Keynote address 2, “Traditional technologies for modern problems: re-energising wind towers”, by Saud Abdul Ghani, PhD, Qatar University, Doha Qatar, chaired by Hassan Sultan, MZ&Partners, Doha, Qatar, (also Chair of the Organising Committee of the conference and the former President of the ASHRAE Qatar Oryx Chapter), harked back to the traditional wind tower technique, which used natural resources to both ventilate and regulate indoor air temperatures in the Middle East. The talk focused on the development of modern commercial wind towers. The study was reportedly based on a collaboration between the University of Leeds and Qatar University, funded by the Qatar National Research Fund 3rd Cycle. The CIBSE Keynote address 5, “The role of thermal storage in low- energy buildings for hot climates”, by Andy Ford, PPCIBSE, South Bank University, London, UK, chaired by Dr Chakroun, reiterated Dr Ghani’s view that hot climate architecture has traditionally utilised seasonal fluctuations and diurnal fluctuations in temperature to create comfort, and said that this had been achieved through the use of thermal mass, both in the building fabric and the ground. He, like Dr Ghani, reviewed how modern approaches to low-energy design based on such traditional solutions could deliver high levels of comfort. A global perspective on the subject was offered by papers like, “Displacement air diffusion for large spaces: Madrid-Barajas Airport New terminal case study and “Relevance of radiant cooling in the Indian context”. This diversity was also reflected in the geographical area the delegates hailed from – Ukraine, Japan, Taiwan and Belgium, among others. Special sponsored sessions by UNEP, AHRI and WHO, analysed the conference theme from a global organisational standpoint. “Promoting low GWP refrigerants for air-conditioning sectors in high-ambient temperature countries (PRAHA)” – a session supported by UNEP – highlighted the challenges accentuated by unclear global trends about refrigerant alternatives, the unavailability of components and the absence of relevant codes/standards that can facilitate the introduction of low-GWP alternatives. The PRAHA project, which is supported by the Multilateral Fund of the Montreal Protocol, was reportedly an effort to help the industry address these challenges. “HVAC&R technologies”, sponsored by AHRI and ASHRAE Qatar Oryx Chapter, dwelt on the challenges of designing, manufacturing and installing HVAC&R systems for optimal operation in hot climates, and stressed the need for new equipment to meet rising minimum efficiency performance standards (MEPS) designed to operate with a variety of alternative refrigerants that can be equipment specific. The session also gave an update on the search for alternative refrigerants that meet the complex criteria set by the international protocols and local standards and regulations. Efficiency standards in Europe explaining the Eco Design directive with an introduction to seasonal energy efficiency, was also one of the issues discussed. A keynote session by World Health Organization aimed to review the current knowledge of evidence about energy, indoor environment and health in homes and healthcare facilities, with a view to identifying opportunities for action and ways to bridge knowledge gaps. It focused on IAQ vis-à-vis WHO guidelines. Sultan made the closing remarks at the closing ceremony. “We have succeeded in achieving our objectives, case-in point being the participation of Qatar Foundation and Qatar University. We also succeeded in attracting most of the global bodies, like CIBSE, REHVA, WHO, AHRI, UNEP and IAPMO,” he told CCME in an exclusive interview, indicating that the avowed goals the organisers had set themselves had been met. certification in meeting efficiency goals. 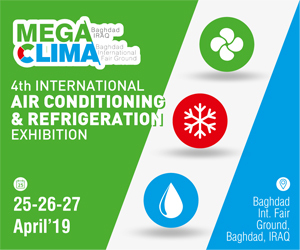 Highlighting the role refrigerants played in our lives, he said that apart from being used in air conditioning systems, which increased indoor comfort, health and productivity of occupants, they helped keep life-saving medicines safe and prolonged the life of perishable food. Underscoring the positive impact of air conditioning on human health and well-being, Calabrese informed that an MIT study had established the correlation between the uses of air conditioning to reduction in heat-related deaths in the 1930s in the United States. He claimed that when properly contained, refrigerants have virtually no direct impact on the environment, which was an extremely significant insight, in light of the raging controversy over the environmental hazards posed by some refrigerants. He, however, cautioned that one has to be extremely aware and cautious of the direct and/or indirect effects of refrigerants on the environment, and emphasised the need for research to find better alternatives. Whether the refrigerant is safe, energy efficient, widely available and economical, apart from its GWP. Also, the choice of refrigerants needs to be different for each application, Calabrese said. He believed that we were facing a new reality: In the US, the phasing out of HCFCs and CFCs represented the end of an era. There is quite a bit of debate on what to do with HFCs, he admitted. Calabrese then spoke on AHRI’s Low GWP Alternative Refrigerant Evaluation (AREF) programme – a cooperative programme involving US and international organisations to identify suitable alternatives to high-GWP refrigerants to test and present results in a consistent manner. Harking back on the new realities facing the refrigeration industry, Calabrese underscored that the new reality created new challenges like distribution and new knowledge base for contractors that demanded education and training. Calling on the refrigeration fraternity, “We must come together globally to develop an education and training plan,” he urged. He assured that AHRI and ICARHMA would lead the US and the international efforts respectively in this endeavour.